From butterflies in your stomach to wondering if you’re both right for each other, the similarities between beginning a working relationship and a romantic one are plain for all to see. However, that’s not where the likeness ends. Some say it’s just cash for labor, but we’re of the mind that a relationship between an employee and their employer is something akin to a good old fashioned marriage. It takes commitment, compromise, and patience from both sides and if one isn’t prepared to put the effort in then the relationship is doomed to fail, but before we get into that let’s take a look at how it all starts. The truth is that for many of us the act of job hunting, just like dating, is a means to an end and a process that we rarely enjoy. And candidates and recruiters alike will notice more than a few striking similarities between the two while in the midst of their search for the perfect match. • Options and prospects – Like a single person at a convention for the unattached, recruiters and candidates have options. This company or that, that candidate or this. • First impressions mean everything – Your mom was right, first impressions really do count, and a sartorial savviness makes for a hell of a good start to both interviews and first dates. • It takes two to tango – No matter how great you know you are it’s just not going to work if it’s not the right fit. If it doesn’t click for both of you then there’s simply no point in arranging that second date (or an interview), is there? • The waiting game – Like Phil Collins said ‘You can’t hurry love, you just have to wait for the ideal position or person that aligns with your goals’ – well, it was something like that wasn’t it? • The fear – Day one, no phone call, no problem. Day two, no phone call, the fear sets in. Why don’t they like me? • Rejection aplenty – No thanks, it’s not the right fit, it’s not you, you deserve better. All the rejection phrases are pulled out in the recruitment stage leaving candidates sitting by a silent phone like a teenager with a crush. 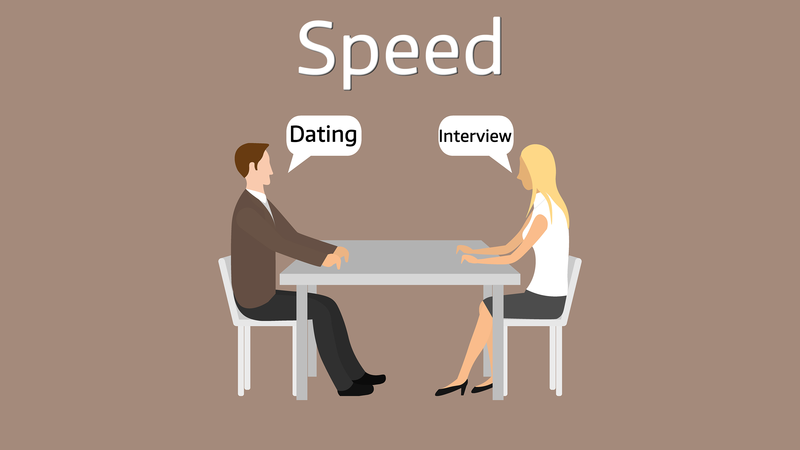 • Time wasters – A bugbear of recruiters and those seeking love the world over are those that have no real intention of taking this any further than a perfunctory hello. Eventually, the time will come when chemistry happens between a candidate and an employer, and both will look to take their budding relationship to the next level. Candidates, recruiters, employers, and especially fools for love want for only one thing; A steady and lasting relationship. Think about it. Does a recruiter want to put all their good work to waste by hiring a candidate they know is just flirting with the idea of a career with the company? Likewise, candidates aren’t very likely to sign on for a company with no long-term plans for their future, are they? So before jumping in like lovesick fools, there are a few questions candidates and recruiters must ask themselves. • Do you both want the same thing? – An employer and employee must be on the same page with regards to how this relationship will work. • Is there room for development? – There should always be an opportunity for personal development which, in the long run, benefits both parties. • Is there a history of stability? – This is true for both in the relationship. Is the employer’s reputation a good one? Does the candidate have a history of jumping ship when the chips are down? • Will everyone get along? – Meeting the in-laws new colleagues is a nerve-racking experience. Will it be a painful process or can both sides play nice? Just these factors alone are proof enough that both employers and newly hired employees should enter a working relationship in the same way that they would enter a marriage. They must both always look to the future and work to help each other develop in a positive way throughout their relationship. With a little of that patience and compromise we mentioned earlier, and a good dose of effort, this marriage between employer and employee can last a working lifetime. And if not, then the goodwill of the relationship should see an amicable separation when the time comes. Of all the points we mentioned, playing the waiting game is quite possibly the single most important aspect of the search for a soulmate job. From both a recruiter and candidate’s point of view it never pays to settle for anything less than an ideal match. After all, neither employee nor employer will gain anything from a premature parting of the ways. For this reason, it pays to have the perfect platform to showcase a candidate’s talents and put them on the market. And as we mentioned in our post last week on social media profiles, Linkedin is the ideal way for professionals with their eye on a possible career change to do precisely this. Recruiters, on the other hand, need something a little more than the endless sea of professional’s profiles that Linkedin offers. They need something with the matchmaking abilities of Tinder combined with the in-depth profile analysis of OkCupid. What they need is TalentDash, the matchmakers of the professional world. A not so subtle brag, but hey, we’ve got the talent scanning chops to back it up. Happy Valentine’s Day and whether it’s in love or work, we hope you find your perfect match. We may not be able to find you perfect dates, but TalentDash most definitely could f/ind matched candidates you are searchi/f your found candidates went beyond work into a romantic relationship, you’re welcome! Go on, to have a free preview of 8 candidates, you never know who you will end up meeting!